Order No. 209 of 2014 – Transfer/Posting in the grade of Commissioner of Income Tax – reg. Vide Order No. 209 of 2014 dated 15.11.2014, the CBDT has ordered the local transfer & posting of 465 officers in the grade of Commissioners of Income-tax. Order No. 207 of 2014 – Transfer/Posting in the grade of Additional/Joint Commissioner of Income Tax – reg. Vide Order No. 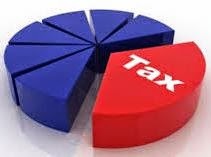 207 of 2014 dated 15.11.2014 , the CBDT has ordered the transfer & posting of officers in the grade of Additional / Joint Commissioners of Income-tax. Vide Order No. 206 of 2014 dated 15.11.2014, the CBDT has ordered the transfer & posting of officers in the grade of Assistant/ Deputy Commissioners of Income-tax. Order No. 205 of 2014 – Transfer/Posting in the grade of Principal CCIT/CCIT/DGIT and Additional Charge – reg. Vide Order No. 205 of 2014 dated 15.11.2014, the CBDT has ordered the transfer & posting of officers in the grade of Principal Commissioners of Income-tax.